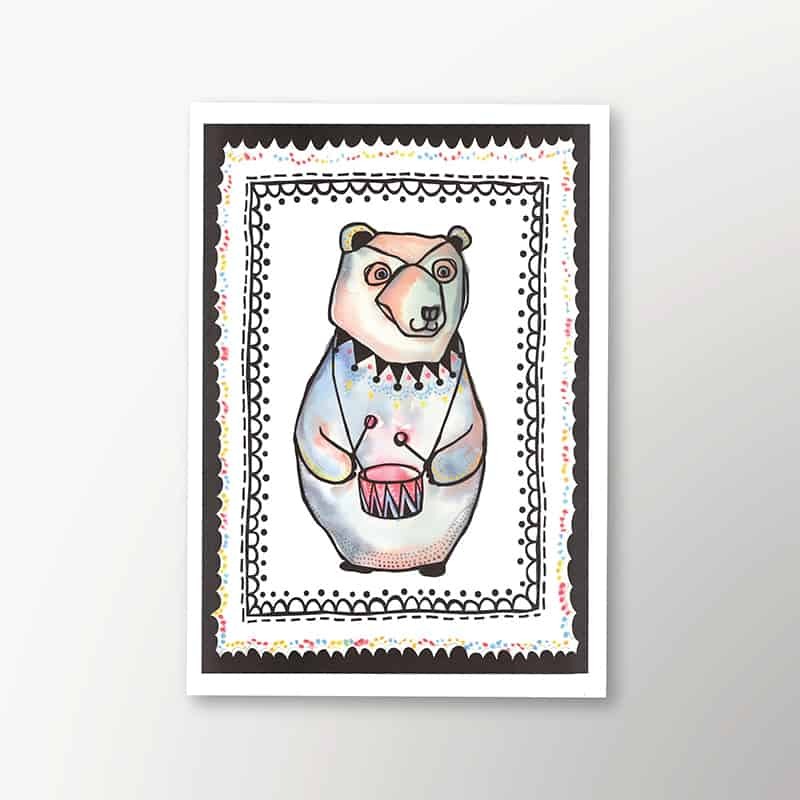 A fun, whimsical aquarelle Art print Circus Bear – perfect for adding some art on the wall in your child’s room. Captivating, inspiring, vividly colored. Put it in a frame (standard size for A3 poster) or use a funky tape. Matches our baby Circus bear blankets.